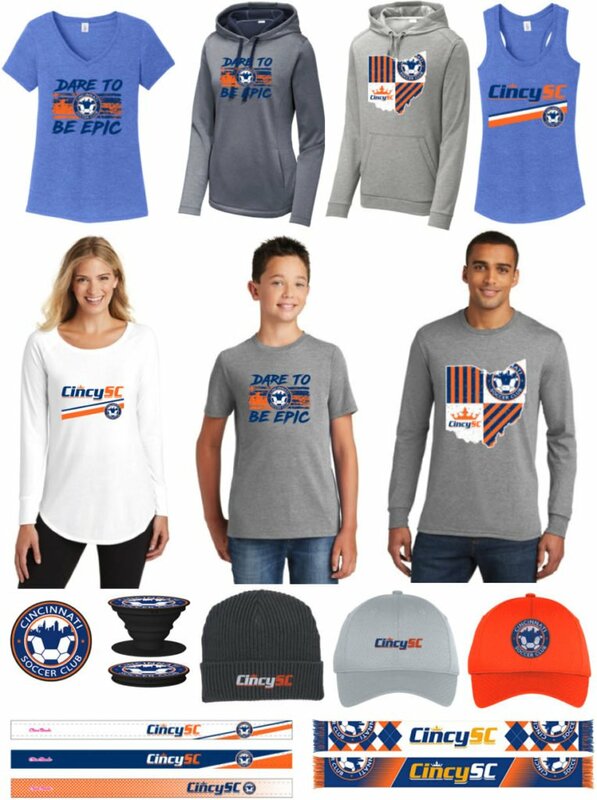 Look great and show you club pride with a cool item from our official Cincy SC fan wear shop! In order to process orders efficiently and keep costs down, our fan wear store is only open three strategic times per year. Please place your order online by midnight on the “Last Day to Order” and we promise items will ship by the “Ship Date” shown below. *Delivery times vary. One delivery option will be to pick up at a club-designated location. If you’re looking for a replacement jersey, warm ups, or a backpack, those items can be found at our Cincy SC Uniform Shop.